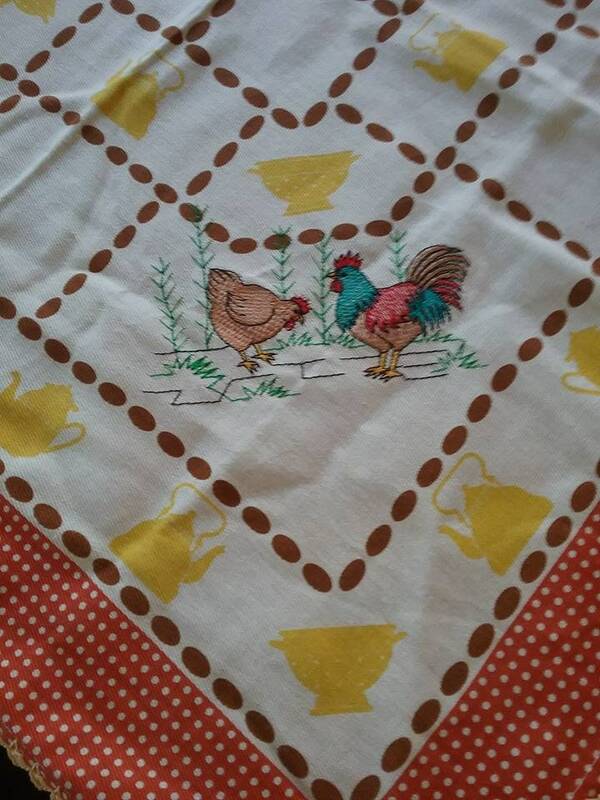 Vintage square table cloth, embroidered hen and roosters. 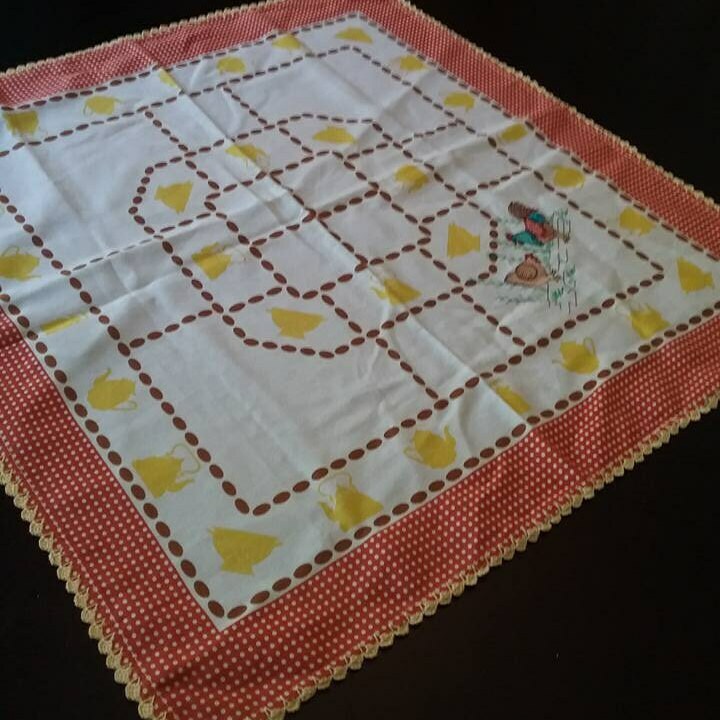 Linen mix, retro tablecloth, or tea towel. 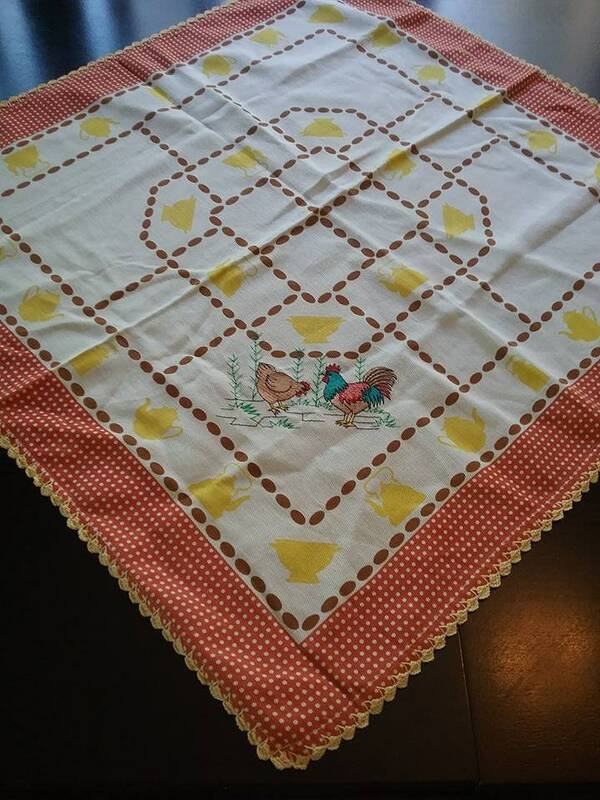 Orange polka dot trim, with yellow tea and coffee pot silhouettes and brown borders, are highlighting a stunning background for a lovely embroidered Hen and Rooster which dominates one corner. 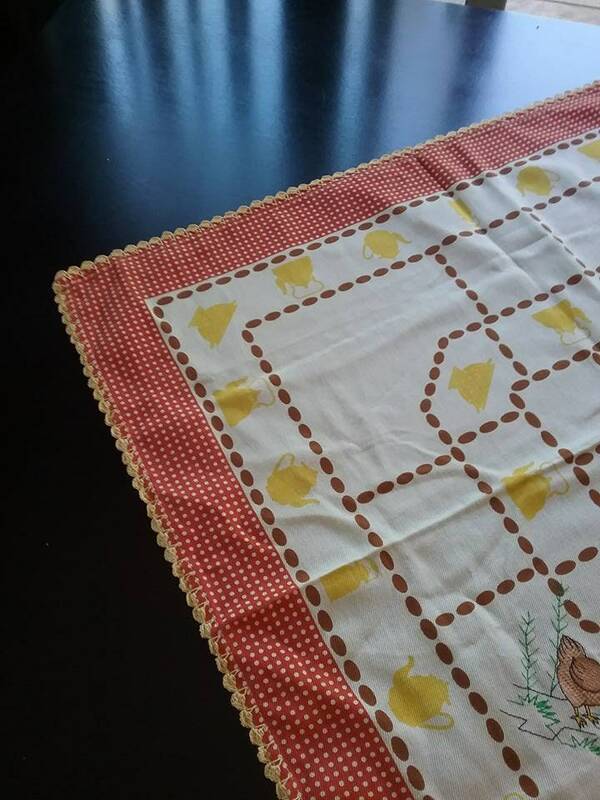 26" x 26", it can be a diamond angled table runner, or a tablecloth. 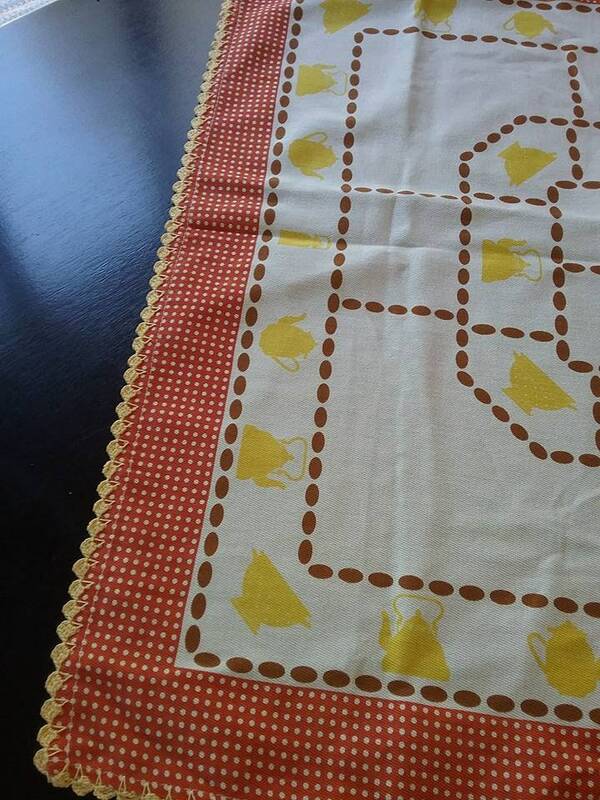 As well, it would make a lovely fabric hanging for the vintage kitchen, or a tea towel. Many uses, and embroidered scalloped edging to complete this cloth.